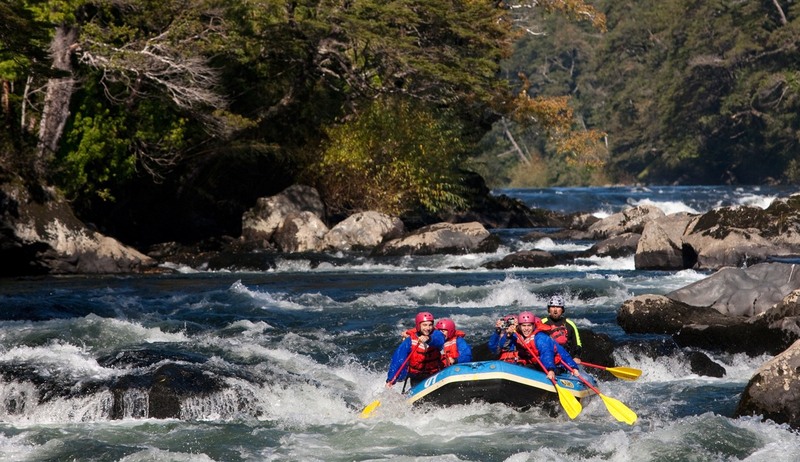 If you want to experience the best of Chile, then this is the trip for you. From the cosmopolitan city of Santiago up to the wild Atacama Desert, the world’s driest, with the snow-capped peaks of the Andes turning pink in the sunset. Then on to the enigmatic Easter Island and back to the mainland to travel down to the spectacular Chilean Lake District of northern Patagonia. An amazing 16 day unforgettable adventure. 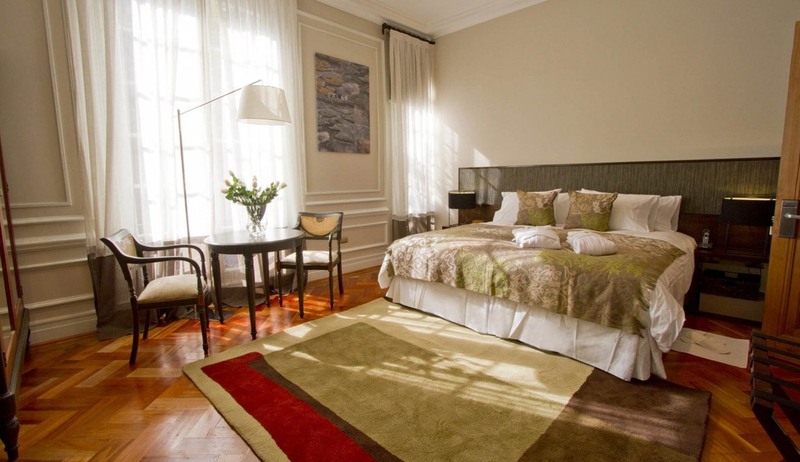 Arrive in Santiago and transfer with private guide to Lastarria Boutique Hotel for two nights on bed & breakfast basis. Lots of choices for dinner tonight within walking distance or short drive. City tour with private guide taking in the historical and modern sights of Santiago. This will include the cultural and artistic area of Bellavista, from where you can climb up to the top of San Cristobe Hill for spectacular views across the city and the surrounding hills. Pick up from hotel and transfer to airport for flight north to Calama. 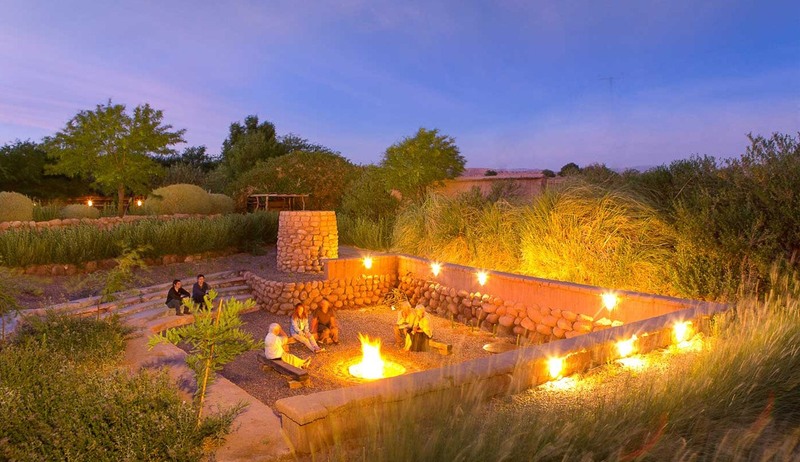 Transfer to Hotel Altiplanico in San Pedro de Atacama for four nights on bed & breakfast basis. Afternoon optional mountain bike ride to scenic Death Valley with opportunities for exhilarating sand boarding on the dunes. A full day of excursions including a walk through the impressive Catarpe Valley to the narrow canyon of Quebrada del Diablo. Horseback ride to see various ‘ayllus’, traditional Andean communities and learn more local culture and farming. Look out for desert flora according to season. Another day of activity, starting at the town of Machuca, at 13,000 ft (4000m), one of the ancient resting places for Llama caravans on the Inca highway. 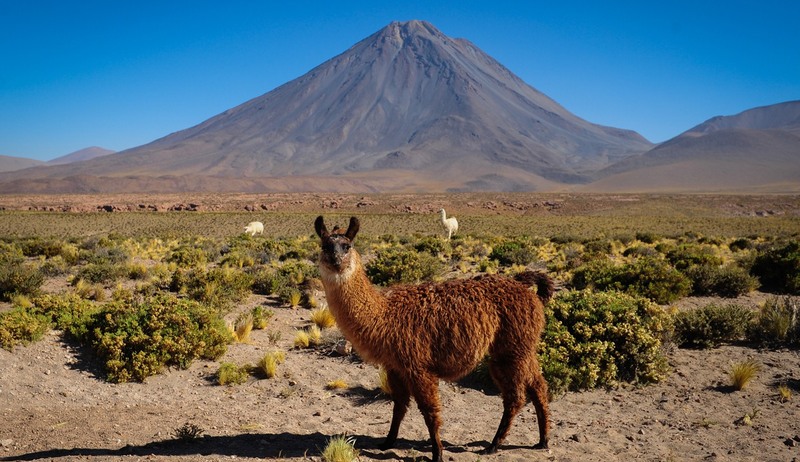 Walk through fields and marshlands and down to the town of Rio Grande, home of Atacameno people, who still conserve their traditions and customs. 7 hours of activity, including lunch. Join a shared evening tour to the space observatory at San Pedro. 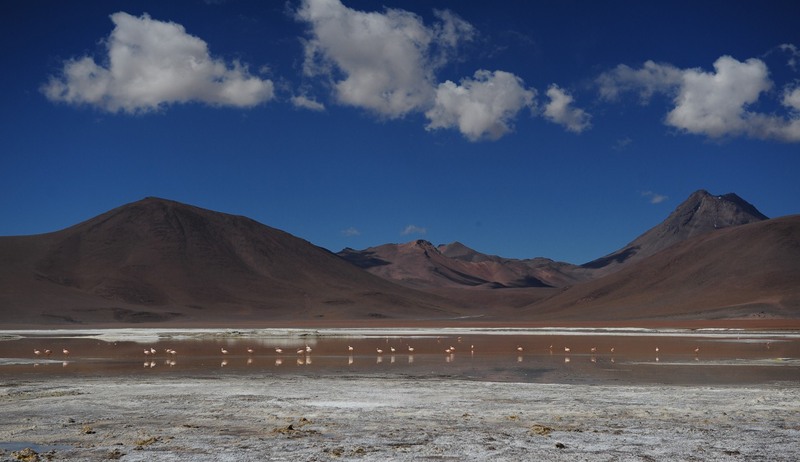 The Atacama is an area known for its clear skies and amazing star-gazing opportunities. Transfer to Calama Airport for flight to Santiago. Transfer to Holiday Inn Airport Hotel for overnight including breakfast. Return to airport for flight to Easter Island. Transfer to Hotel Puku Vai for three nights on bed and breakfast basis. Spend afternoon at leisure exploring Hunga Roa. Full day excursion to see various of the iconic Moai (statues) and the volcanic quarry that supplied the stone for most of the Moai on the island. End the day with a visit to the beautiful beach of Anakena and enjoy a swim in the warm Pacific Ocean. Packed lunch included. Take a panoramic drive up the extinct Rano Kau volcano and down to the ceremonial village of Orongo. Later, visit a stonemasonry and then the cave at Ana Kai Tangata to see ancient wall paintings. At Ahu Akivi , see seven re-erected Moai that represent the original explorers sent to the island. A day of culture and spectacular scenery. Transfer to airport for return flight to Santiago. Overnight with breakfast at Holiday Inn Airport Hotel. Return to airport for flight to Puerto Montt. Transfer by road and boat to Mitico Puelo Lodge on Tagua Tagua Lake for three nights on full board basis. These days are spent walking in the forests, along the lake shore and in the foothills of the snow-capped Andes. There are also lots of optional activities, such as horse-riding, boating, fishing and helicopter sightseeing. Travel by boat and road to Puerto Varas. Overnight at Hotel Cumbres on bed & breakfast basis. 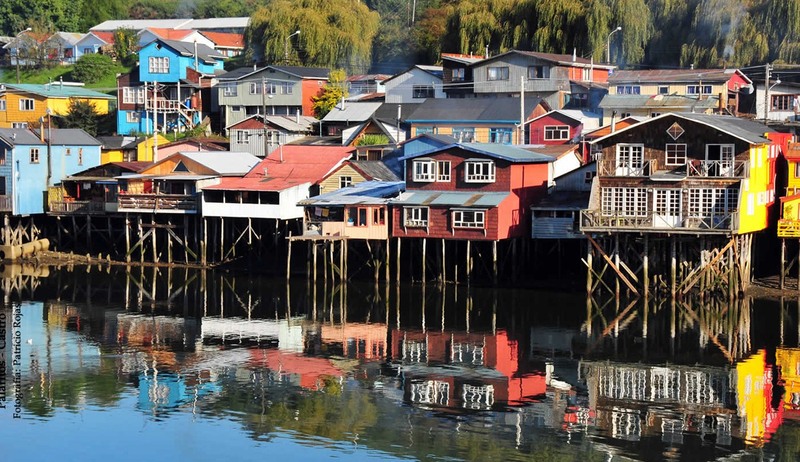 Puerto Varas is an attractive local town known as the City of Roses, with charming examples of German colonial architecture. Lots of options for eating out this evening. After Breakfast, transfer to Airport for return flight to Santiago and your independent connection flight back home. 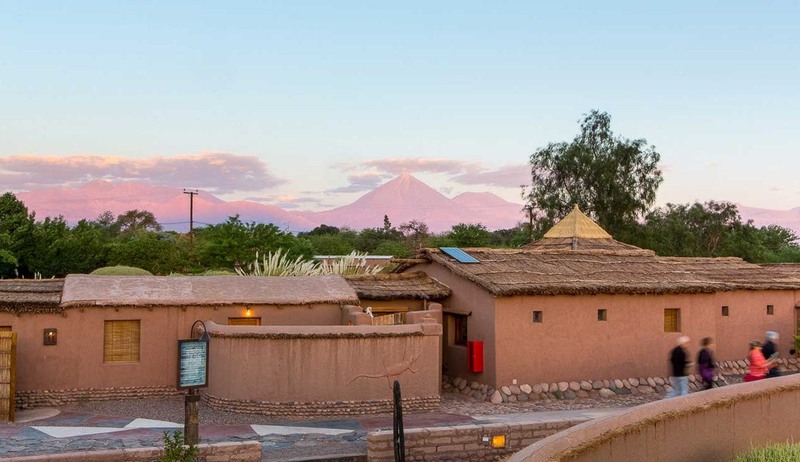 Hidden away on the outskirts of San Pedro de Atacama in the enchanting Atacama desert you will find the beautiful Altiplanico hotel, a village style resort made almost entirely from adobe with an authentic feel and a welcoming atmosphere. Located just 1km from the tourist hotspot of San Pedro de Atacama this unique hotel highlights all that is wonderful about the Atacama Desert region, one of the driest places in the world and fast becoming one of South America's most popular must-see destinations. 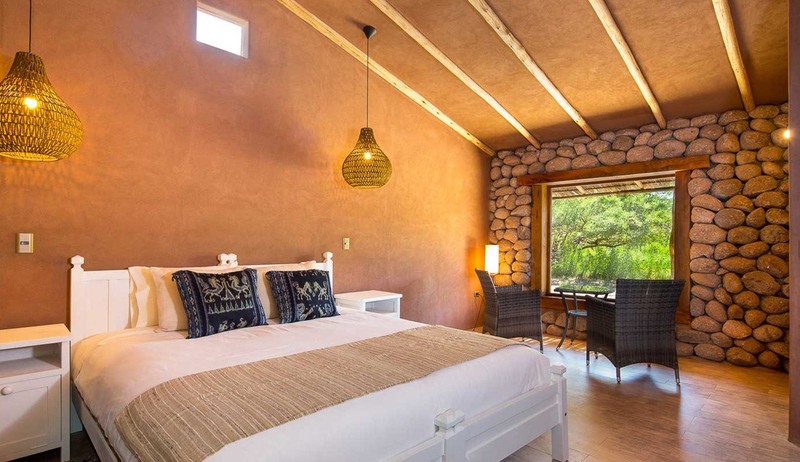 This hotel offers a laid-back escape from the crowds and with uniquely designed bedrooms, rustic surroundings and spectacular views of the Andes this is an ideal retreat for guests looking for an authentic and enjoyable desert experience. 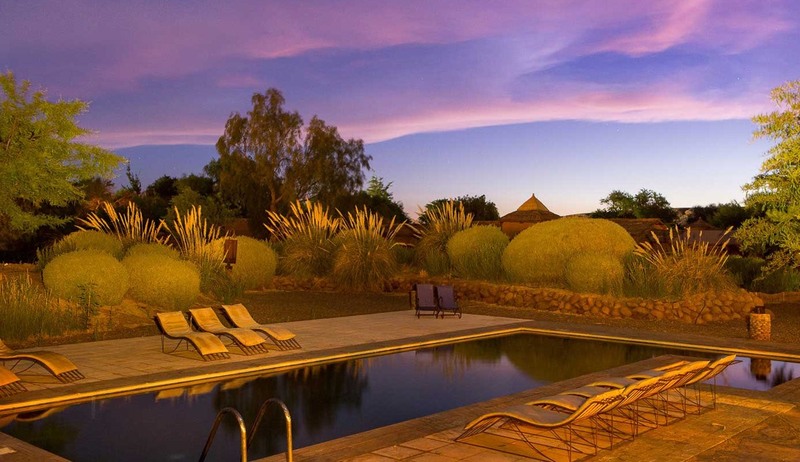 The hotel is situated within a 10-minute walk of Meteorite Museum and Pukara de Quitor and after a long day of exploring the boiling geysers and flamingo lakes guests can relax by the beautiful swimming pool watching the famous Atacama sunsets. The bedrooms at Altiplanico have been designed with minimalistic architecture in mind. Adobe walls, beamed ceilings and straw roofs add to the authentic feel of the hotel and all rooms have private terraces for guests to relax and soak up the wondrous views. All rooms are en-suite and have been beautifully decorated and individually designed to create a feeling of warmth and protection from the strength of the desert outside. Although the bedrooms are beautiful and the main areas of the hotel and welcoming and attractive, Altiplanico's main attraction is its fantastic location and incredible views. The 6000 metre high Licancabur volcano lies imposingly in the background and the mixture of volcanic peaks and bone-dry landscapes offers a unique feeling of calm and awe at the same time. 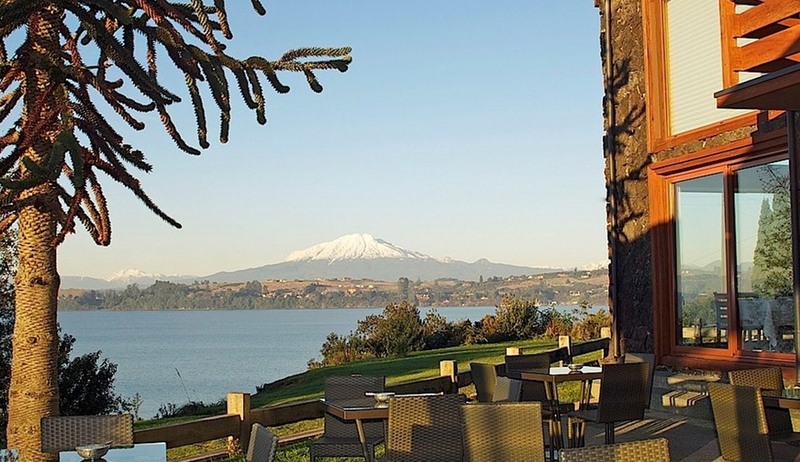 Located in enchanted Puerto Varas, not only is this superb award-winning hotel situated perfectly within a 10 minute walk to the Beach, Casino and Museum, you also have dramatic views of Lago Llanquihue and the Osorno and Calbuco Volcanoes. The location of this five-star luxurious hotel is perfect for both city and nature lovers. 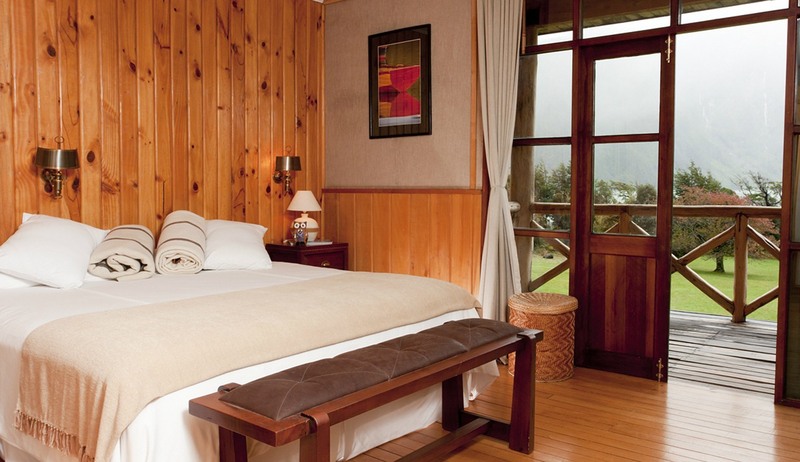 Using native wood and stone design, Hotel Cumbres is a perfect reflection of its surroundings. With expansive windows, you will truly feel connected to the breath-taking landscape of southern Chile. 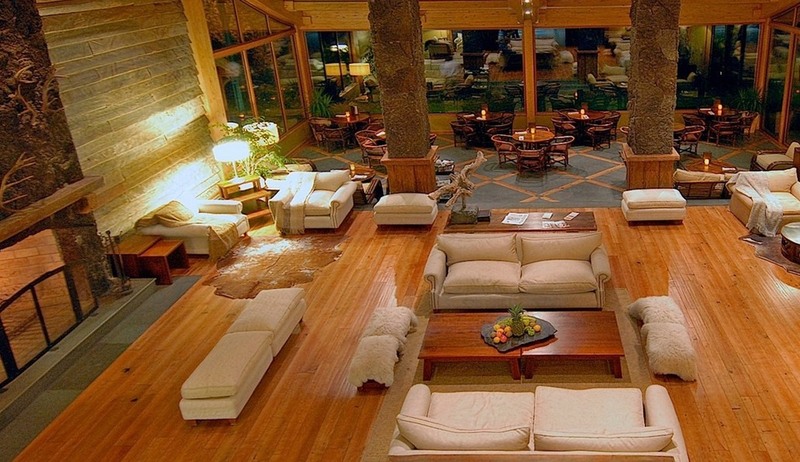 Whether you have spent the day exploring Puerto Varas or hiking around the beautiful Lago Llanquihue, once inside this special hotel you can relax in the overstuffed armchairs and sofas, next to the log fireplace. 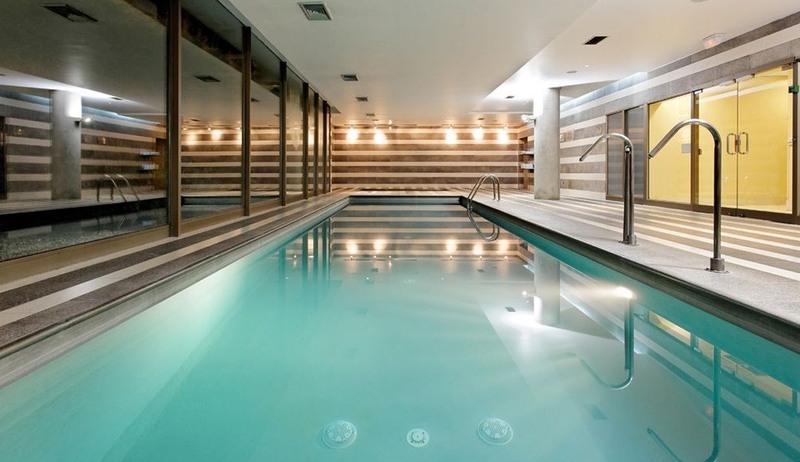 You can also spend your time relaxing in the spa, which contains a heated pool and a sauna. 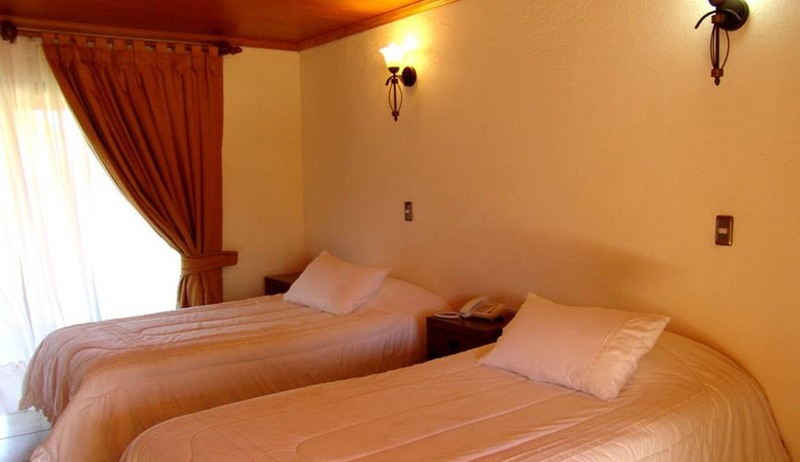 All of the 90 guest rooms throughout Hotel Cumbres are comfortable, simple yet elegant. Selected rooms also offer breath-taking views of the mountains and lakes. Sustainability is a core value of Hotel Cumbres, who go the extra mile to protect and preserve this beautiful country’s vital natural resources. 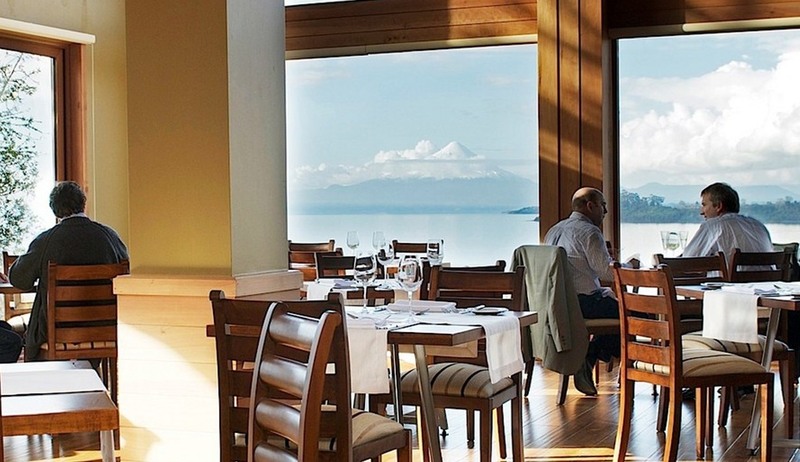 After a long day of exploring this beautiful part of the world return to Hotel Cumbres to enjoy delicious authentic Chilean cuisine in the on-site restaurant located on a stunning lakeside setting or enjoy a signature cocktail in the casual and relaxing bar. Hotel Cumbres also offers a fitness centre and six meetings rooms with a capacity of 450 guests. The experienced and friendly staff invite you to enjoy a tranquil and special stay at Hotel Cumbres. 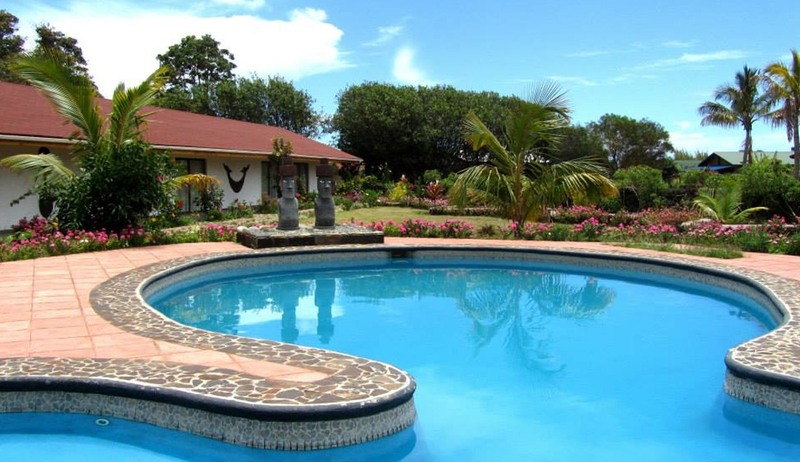 Hotel Puku Vai is an excellent base for exploring the fascinating Easter Island. This wonderful Island is a true paradise surrounded by the beautiful turquoise Pacific Ocean. Located just a few minutes from Hanga Roa, the hotel is an excellent location for all of your adventures and activities. Whether you would like to explore the impressive and mysterious stone giants, trek across the island, bike, scuba dive or surf you will not be left wanting on this beautiful Island. The friendly and welcoming staff at Puku Vai will ensure you get the most from exploring and experiencing Easter Island and can provide tips and advice throughout your stay. Whether you are adventuring or relaxing by the fabulous swimming pool you can be assured of an unforgettable stay. All of the comfortable rooms at Hotel Puku Vai offer a view of the surrounding garden filled with tropical plants and flowers and have direct access to the pool and Jacuzzi. All rooms also include air conditioning, free Wi-Fi, TV, a private bathroom and a private terrace. There is an on-site restaurant where lovely meals are served and a comfortable bar stocked with a wide range of beverages. The staff at Hotel Puku Vai will be delighted to help arrange Easter Island tours for you and extra services also include airport transfers to ensure your stay is as smooth as possible. 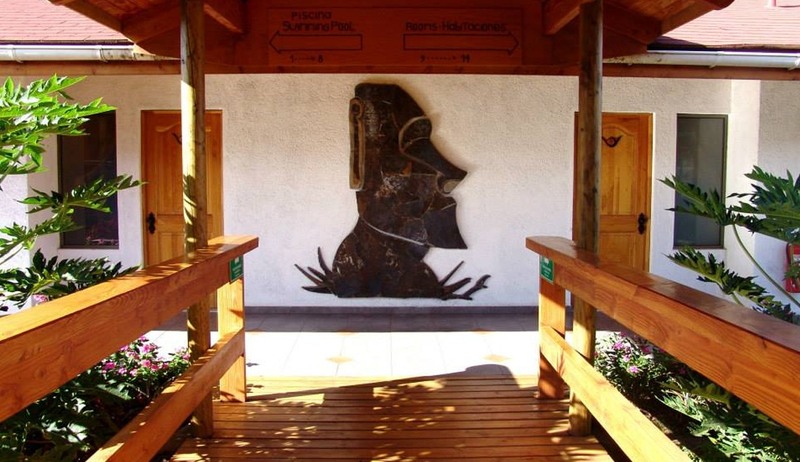 Hotel Puku Vai invite you to experience the magic of Easter Island from the comfort of this lovely hotel. 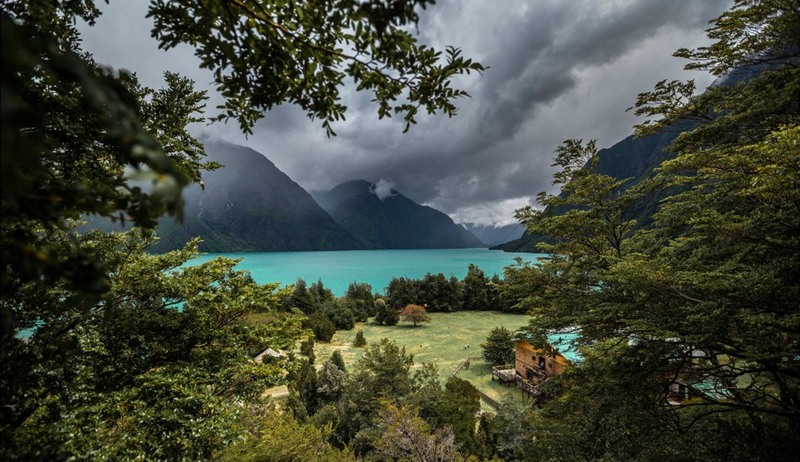 This eco-friendly lodge is situated in the beautiful Patagonian Andes. 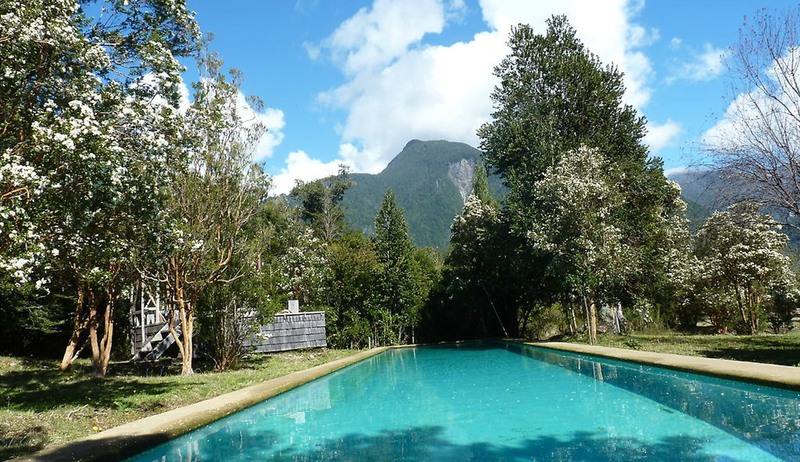 Built in 1991, the Mitico Puelo lodge overlooks the stunning deep turquoise waters of the Tagua Tagua Lake. This wonderful lodge combines a fantastic location with spectacular views alongside experienced and friendly staff members, to ensure your stay has everything you need. The friendly staff and experienced tour guides will take care of everything. Born and raised in the valley itself, they will give you the best advice to ensure you can make the most of your trips and activities. Enjoy the day cycling, horse riding, sailing, fly fishing or go on a trekking trip, whatever you decide to do there is an abundance of activities that this lodge and the location has to offer. This beautiful lodge features a family friendly restaurant, a bar/lounge and a coffee shop/café to ensure all of your catering needs are met with delicious food. You can even enjoy a free buffet breakfast to start the day. 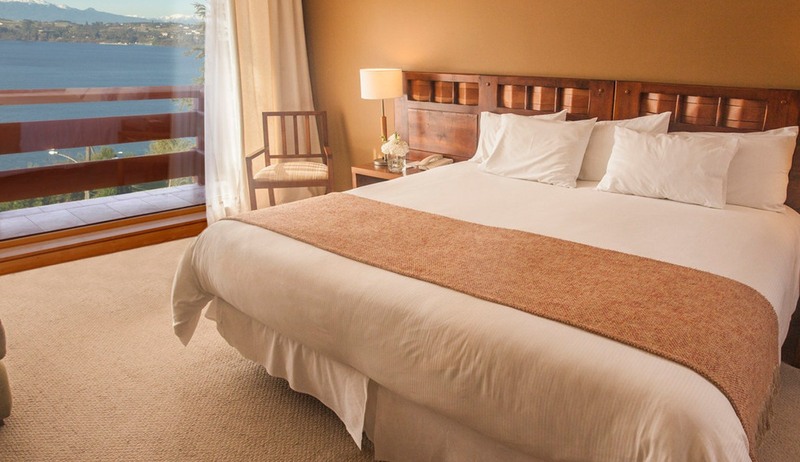 All of 21 comfortable and stylish rooms offer free WiFi, elegant furnishings and terraces. The hotel also has a seasonal outdoor pool. Enjoy all that this wonderful location has to offer before returning to the comfort and elegance of your room with a view! 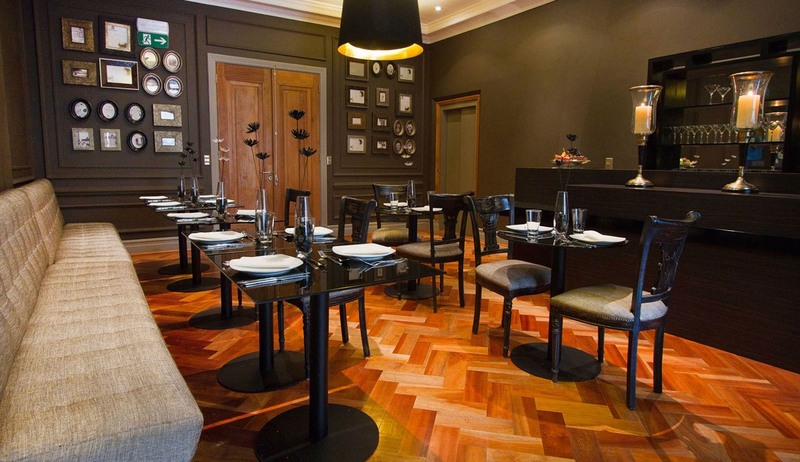 This beautiful boutique hotel located in the heart of Santiago's most bohemian borough of Lastarria offers fantastic accommodation, personal service and a home-from-home feeling that is hard to find anywhere else in Chile's most famous city. The hotel is located perfectly for exploring the city's historic regions as well as its museums, theatres and trendy bars and restaurants, with the majority of Santiago's must-see sights right on its doorstep. 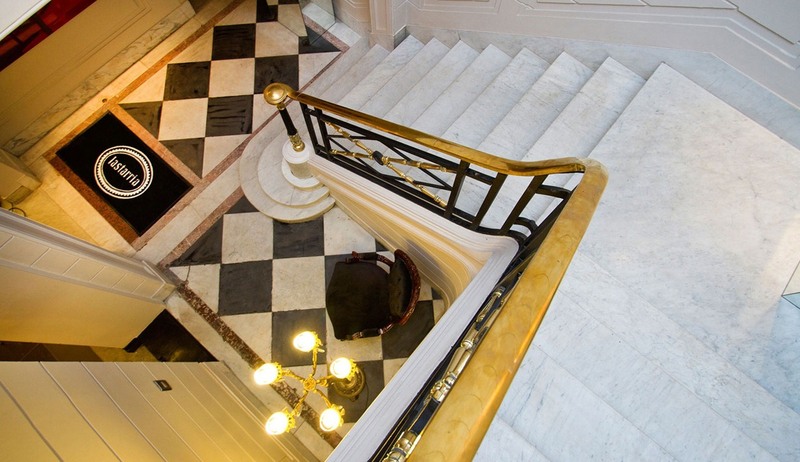 This renovated 1927 mansion has been decorated and furnished to an exceptionally high standard and the hotel has retained most of its original architectural character whilst adding a modern twist with beautifully appointed bedrooms, upscale dining areas and a wonderful outdoor swimming pool in the gardens. Casa Bueras Boutique Hotel offers spacious and bright bedrooms all of which have been immaculately furnished and decorated. All of the bedrooms have big windows, large comfortable beds with premium bedding, air-conditioning and heating, WiFi, mini-bars and exceptionally stylish en-suite bathrooms. The hotel also has a number of upgraded deluxe rooms and suites, most of which have private balconies and large seating areas. As well as the delightful bedrooms the hotel also features a gym and an outdoor swimming pool set amongst a beautiful walled garden. Spa treatments are also available throughout the day. The class of this hotel is topped off with the fantastic Deli restaurant which serves delicious international dishes specially designed by the hotel's first class chef. There is also a stylish bar where guests can enjoy a speciality cocktail or sample some Chilean wine from the extensive wine cellar after a long day of exploring this bustling city. Should you wish to venture further afield the hotel's friendly and dedicated staff will be happy to book excursions and arrange tickets and tours for you. Featuring a sleek and contemporary design this hotel is located directly in front of the Arturo Merino Benítez International Airport Terminal and is a perfect spot for a stopover in Santiago. This modern Holiday Inn offers more than the normal airport hotels, with large comfortable rooms, an indoor pool and a fantastic restaurant adding to the desirability of this 5 star accommodation. Located close to Santiago city centre this lovely hotel is also ideally situated for exploring what this great region has to offer and although situated directly across from the airport all of the comfortable and stylish bedrooms have been sound-proofed to ensure a great night's sleep. 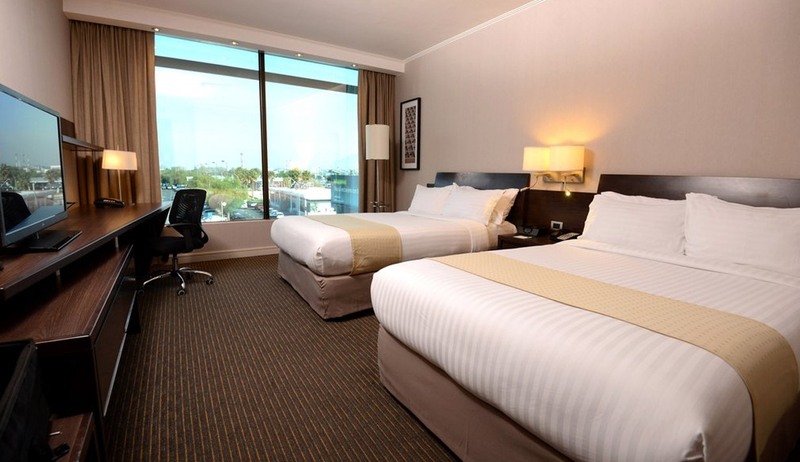 The guest rooms in the Holiday Inn Airport Hotel offer a fantastic level of space and comfort with large beds, en-suite bathrooms, complimentary WiFi and cable TV. Many rooms also offer great views and all rooms have air-conditioning. As well as the elegant guest rooms the hotel also has a 24 hour lounge area, a lovely indoor pool, a fitness centre, 2 saunas and a jacuzzi. For dining there is also a fantastic Grill restaurant offering delicious meals throughout the day and a warm and welcoming cocktail lounge where guests can enjoy a refreshing and relaxing drink before or after a long flight. Room service is also available at all times throughout the day and night. Whether you are simply stopping over on the way to more adventures or if you are here for a longer period of time you are sure to find a supreme level of comfort in this hotel. The friendly and helpful staff are also always on hand to help with any queries you may have and can help to arrange excursions should you wish to venture further afield.